It doesn’t take many expensive dental procedures to make you realize you need dental insurance coverage for you and your family in addition to your family health insurance plan. 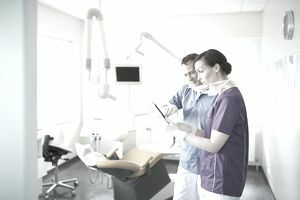 Delta Dental Insurance Company has been offering dental coverage for more than 50 years and is the largest dental benefits carrier in the United States. There are over 140,000 dentists participating in its large national network and many plans also provide out-of-network dental coverage. In 2013, the company had more than $18 billion in dental insurance premium revenue. Coverage is provided in 15 states as well as the District of Columbia, Puerto Rico and the U.S. Virgin Islands. Delta Dental Insurance has an “A Excellent” rating with A.M. Best insurance rating organization. For those who have medical benefits through the health care exchange (marketplace), the ACA does allow you to purchase dental insurance separate from your medical coverage. You may first want to check and see if any pediatric dental coverage was automatically included in your health insurance plan. There are several different ratings from the Better Business Bureau for Delta Dental Insurance because of their different locations. For the purpose of this review, the rating will be discussed for the headquarters location in San Francisco, California. The BBB filed was opened in 1991. Delta Dental is not a BBB accredited business and has a “B-“ rating. This is based on 4 negative customer reviews. There are a total of 88 customer complaints listed and Delta Dental scored a 2.56 out of 5 star composite score rating. Of the complaints listed, the majority was in the area of problems with product/service (41) and the second most complaints were with billing collection issues (35). From the company website, you can access extras to help you and your family with dental health wellness including the SmileWay Wellness Site offering fun oral health activities, information and tools for the whole family. There is also Grin! E-magazine with updates and tips for dental health and Just for kids! which offers education materials for teachers. Delta Dental has strong financial strength ratings. You can manage your claims online. There is a convenient mobile application. Customizable policy options allow you to adjust your policy depending on your dental needs. Delta Dental offers a set dollar amount out-of-pocket expense for many procedures rather than having you pay a certain percentage of the cost of the procedure as is the practice of many carriers. Many plans offer full mouth x-rays every two years for preventative care which can be important in diagnosing many types of tooth or gum disease other than tooth decay. The Preferred Provider Plan (PPO) offers discounts of over 20 percent in some cases for using an in-network dentist. All coverage options and plans are not available in every state. Delta Dental Insurance has over 50 years of experience in providing dental insurance and has strong financial strength ratings. The company offers plans using the services of a large network of dentists nationwide who agree to the company’s determination of fees, saving you money in out-of-pocket expenses. The plans are available to individuals and small and large businesses. While the plans are not available in every state, there is a broad coverage area. Delta Dental is well worth checking into if you are looking to purchase a dental insurance plan for you and your family. To find out more about dental insurance coverage From Delta Dental, you can visit the Delta Dental Insurance Company website or call toll-free at 800-422-4234 Monday through Friday, 8 am to 9 pm, Eastern Standard Time.